What in your opinion are the virtues and evils of Tasawwuf? i) In Tasawwuf one has to be unconditionally obedient to one’s Murshid (spiritual guide in Tasawwuf). This blind acquiescence to someone other than the prophet, alaihissalaam, is an un-Islamic approach. The Qur’an tells us that we are responsible for our own deeds and that, on the Day of Judgment, the excuse that an individual followed his leader unwittingly would not be entertained at all as an excuse for a religiously incorrect behavior. ii) Many of the practices in Tasawwuf which a Murshid Sheikh demands of his docile disciple (Mureed) do not originate from the prophet, alaihissalaam. Such so-called spiritual practices are common amongst people of different faiths. For instance, many concentration exercises (muraqabah) amongst Sufis are the ones that you would find amongst the Hindus in their Yoga exercises as well. I remember when a couple of years ago the famous Sufi Nuh Keller came to LUMS, I attended one of his sessions. During that session he chanted some dhikr (words for God’s remembrance) in a peculiarly distinct tune repeatedly. I immediately recalled the tune of it because I had only heard it a few days ago on a Sony-channel religious program where a Hindu Yogi was chanting a mantra in exactly the same tune before a large group of his disciples. iii) Tasawwuf sets forth for itself the target of getting back to becoming a part of God as the ultimate goal of a genuine Sufi. The life of paradise and being eligible to be a part of it is not even a part of the objectives of a true Sufi. For him we have emerged from God and we have to return to Him in the literal, physical sense. That is why the word for death in Sufi dictionary is ‘visal’ which means ‘joining’, this life being ‘firaq’, which is ‘separating’. 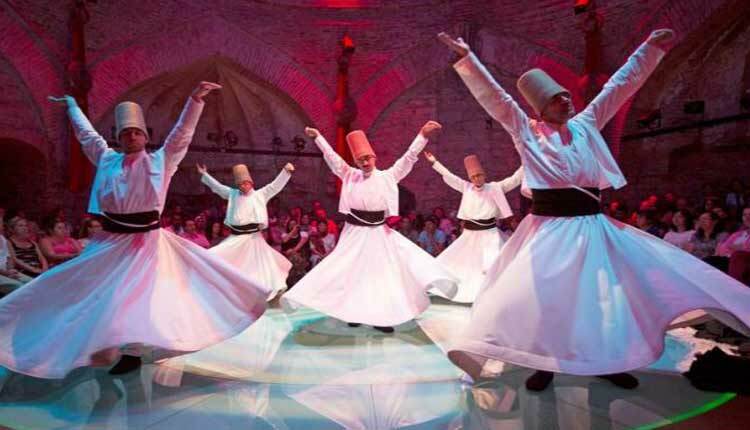 iv) Sufis believe that the entire existence is a part of God. “There is no one except Allah (la moujuda illallah)” is the ultimate Kalima of Sufis. The Kalima ‘La Ilaha Illallah’ is for the ordinary people and the beginner Sufis. v) For a Sufi, Khatme Nubuwwat doesn’t mean that angels cannot come to communicate with humans anymore. Sufi saints have all along claimed that they have been receiving guidance from angels directly. If you read the da’wah literature of Ahmadis (Qadianis) you would find that they are challenging the Muslim claim that it is a unanimous Muslim understanding that the chain of the prophets has come to an end after prophet Muhammad, alaihisslaam, by presenting volumes of evidences from Sufi literature which claim that angels of God have very much been visiting Muslim Sufis after prophet Muhammad, alaihissalaam. (If you want to know the truth of these experiences, please read my article “Experiencing Jinn” on my site). Please don’t consider the last three points as exaggerated claims. There are scores of evidences to prove them from the writings of famous Sufis like Abu Ismaeel Harwi, Imam Ghazzali, Shah Waliullah, Shah Ismaeel Shaheed, Ibne Arabi etc. If anyone claims that the Sufi understanding is anything otherwise, he is either unaware or lying with the ‘noble’ purpose of not causing people to be upset on receiving such shocking revelations. It is only through gradual indoctrination that a docile Mureed starts believing in all these ‘truths’ when he reaches the higher spiritual levels to experience them himself. i) Sufis are very good at reaching out to people through effective psychological techniques. They know how to influence people; for that purpose they work really hard. They would spend long hours at times even with a single individual, solving his/her even very small worldly problems. Alongside that, they are so pleasant, polite, and soft in their approach in such a way that an ordinary person can’t fail to be impressed by them. They maintain a good group of a number of disciples who together form a strongly knit unit. The members of a Sufi group are like a very strongly knit family with the Murshid as its central, galvanizing force. ii) The exercises of dhikr suggested by Sufis and the other things suggested in the path of Tasawwuf (tareeqat) give people doing them a sense of relief from tension, a feeling of solace. Indeed this virtue is what most people are seeking through Tasawwuf at least at the initial stage of their affiliation. Relief from tension is an objective which brings a large number of people close to other forms of mysticism as well. Jews, Christians, Hindus, Buddhists and other faiths have their respective versions of mysticism. Indeed Tasawwuf is the Muslim version of mysticism. When mysticism adapts to the conditions of Jews, it takes the form of Kabala; when it adapts to the conditions of Muslims it becomes Tasawwuf. In all its forms it offers the virtue of a feeling of tension-free solace to its followers.